Star Wards members use and adapt our resources to stimulate and structure therapeutic and enjoyable daily programmes for inpatients in the full range of wards including elderly, rehab, learning disability and secure. Sometimes it’s huge things, like transforming a ward with low morale and high aggression into one where significantly increased safety is both a result and illustration of the new culture of constructive patient engagement and staff satisfaction. Or it may be just a brief, warm exchange between a patient and nurse, capturing the mutual respect and trust which characterises so much inpatient care. 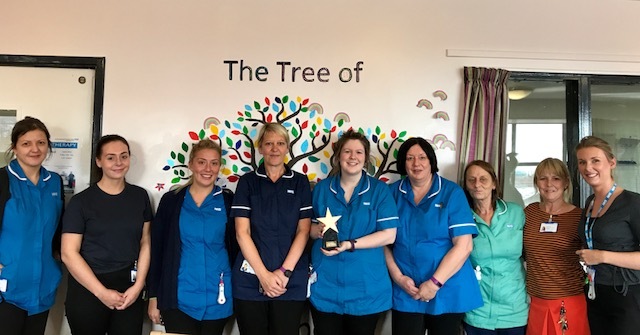 Since it launched 12 years ago, Star Wards has helped to create higher patient and staff satisfaction, better relationships, more activities and lower rates of aggression and violence. We are heartened that our resources are still being well used, to the benefit of thousands of patients, staff and visitors. Working on a ward is a tough gig. All our resources are designed to be ‘pick up and go’, with teams using them however is most helpful to (or possible for) them. The Star Wards community adopts and adapts our portfolio of 75 practical ideas to validate their existing good practice and to inspire further development. Members are using Star Wards ideas as action planning or benchmarking exercises. Many wards start by looking at the 75 Ideas and get a lot of satisfaction from ticking off those ideas which are already in place. This invariably provides a real uplift as staff see how much of the great practice they take for granted are listed in the ideas. All wards that manage to have all (relevant) 75 in place, often by creatively adapting the basic ideas, are eligible for our Full Monty Award. Click here to read about how to get patients involved in your Star Wards project.